Honk if you're sometimes too lazy to get up off the sofa to do anything, even turn down the volume of the music that's playing. I say: let your freak flag fly and take advantage of clever applications such as Media Center Control, an app that acts as a remote control for the Windows Media Player / Center for Windows computers. 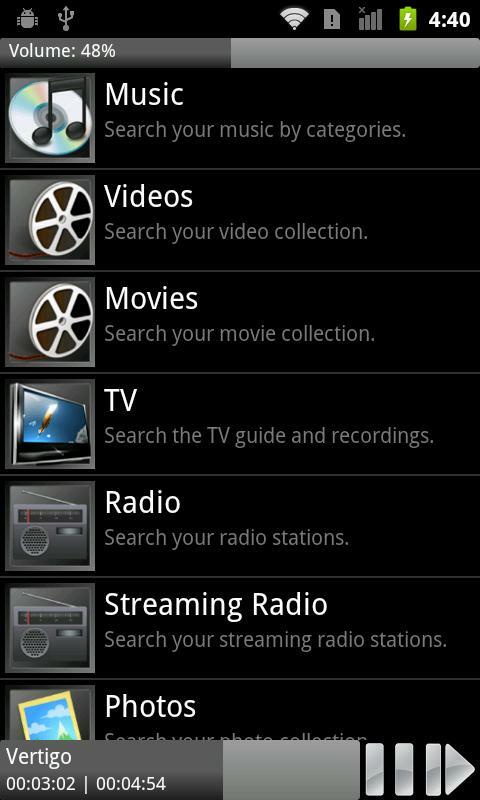 With it you can remotely control playback of music, videos, radio stations and even photo albums. Find out more about our app of the week after the jump. Before being able to run the app you will have to set up the server on your computer. This turns out to be nice and easy: simply download the software and follow the instructions. It takes but a few minutes in total. Once this is done you will be able to access various media formats via the main screen (music, videos, streaming radio, photos). Hit music and you have the option to select albums, artists, genres or folders to search for specifics or simply playback. Playlists can also be played back as well as saved using the buttons below. Another useful feature: the volume bar at the top of the display. Simply swipe or tap to regulate the volume. 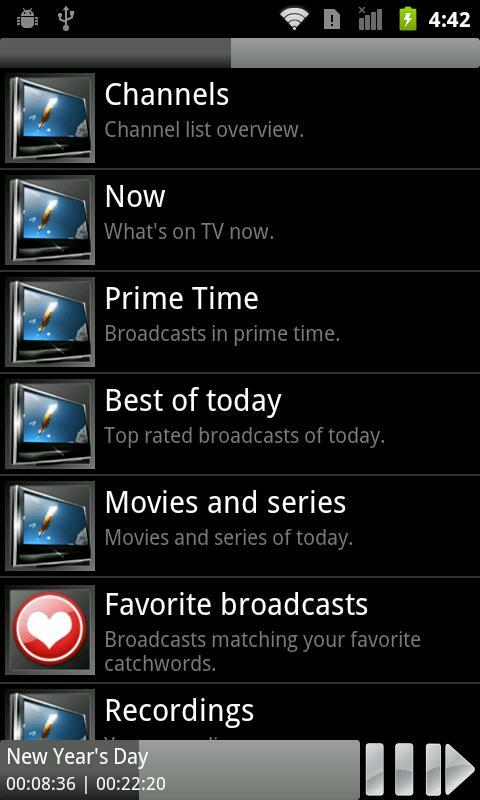 Remote TV control for the television option of the Windows Media center is another option. Check out the current programme as well as upcoming ones—the app functions as a sort of TV guide. If you're watching telly on a TV screen that's hooked up to your computer, this app provides you with a full-fledged remote control. The same is true for all other media options harboured in the Windows Media Center. Because the app is well set up, it's pretty self-explanatory, which is why I won't go into specifics. Check the settings for a few personalised fine tuning options. Have your say in how the screen is meant to look, the size of the volume display, activate direct playback, display the stop button and/or sidebar, drag and drop, TV search terms and more. I couldn't think of anything this app is missing. Should you wish to switch off the app app as well and simultaneously shut down your computer simply select a time or choke the connection to an external monitor. A very convenient detail. I like Media Center Control very much overall. It's a great means for remote controlling every aspect of the Windows Center. A few details, such as notifications or playback navigation via widget wouldn't go amiss, but overall the app's scope is great. Media Center Control is set up in a rather basic manner: a black background and a bunch of lists. The app could be made to be more user friendly by enhancing the size of the search bar, pause and skip buttons, as these were clearly not designed for people with large fingers. Aside from this, the app is easy to navigate and relatively intuitive to use. Media Center Control did not disappoint in terms of speed or stability. The only times there's a brief hesitation is when the app is loading song lists. Media Center Control is our app of the week and thus can be downloaded for EUR 2.49 instead of EUR 4.99 for a limited time only (09/10/12-09/16/12).